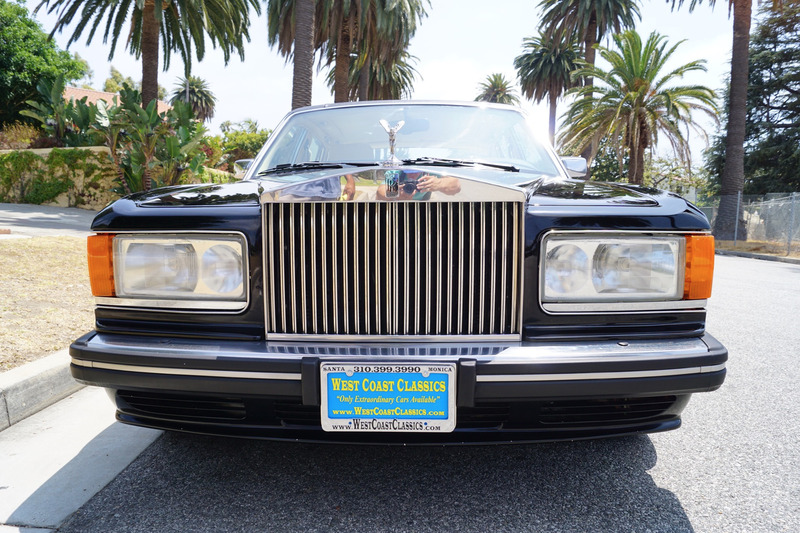 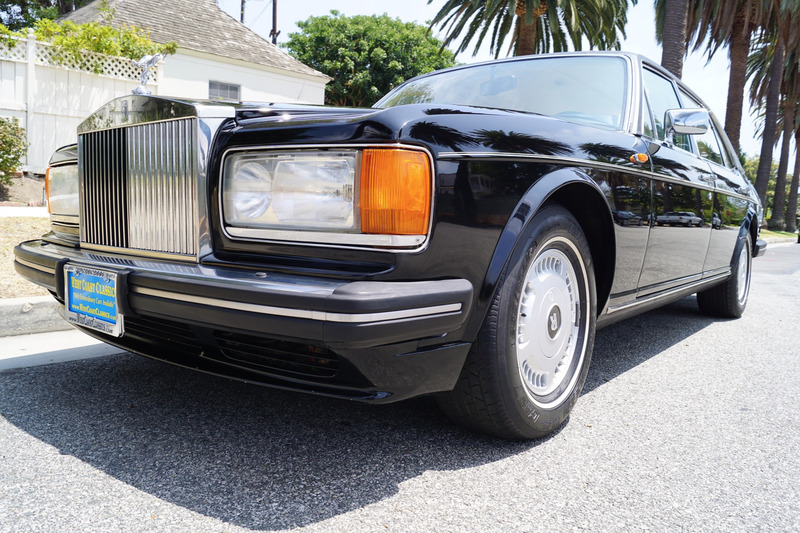 West Coast Classics are proud to present an absolutely exceptional, stunning and very collectible example of this rare and extraordinarily low production model, a 1995 Rolls Royce Flying Spur Turbocharged Long Wheel Base Sedan with only 45K original miles in this most desirable and highly striking gorgeous color combination of 'Black' (Code 9531101) exterior paint with a luxurious 'Magnolia' (Code A3997) Connolly leather interior with Black piping and a virtually flawless and simply stunning interior with original matching Black sheepskin rugs and a matching Magnolia leather headliner! 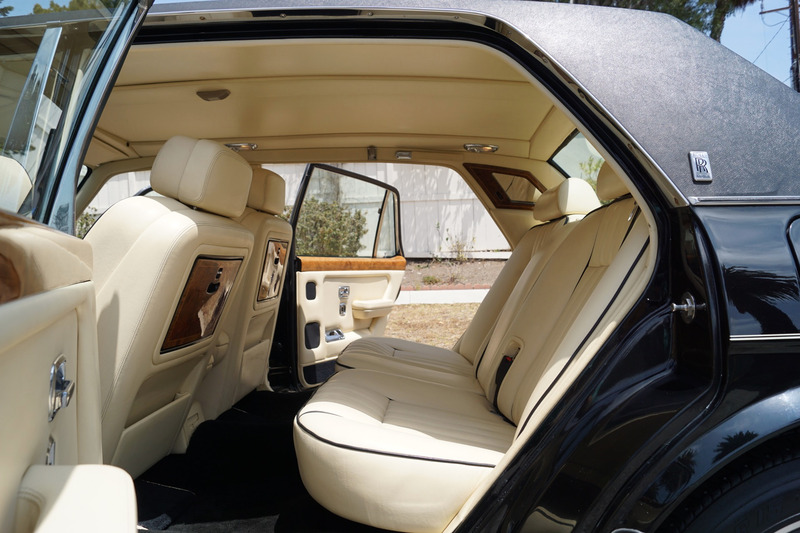 An uncompromising head-turner which never fails to get compliments from all who see her! Designed in late 1992, the final series of the Silver Spur was introduced in 1995 as a 1996 model. Known internally as the Silver Spur IV but interestingly not marketed as such internationally due to the symbolism in the far east surrounding the suffix IV, where it is a symbol of death. 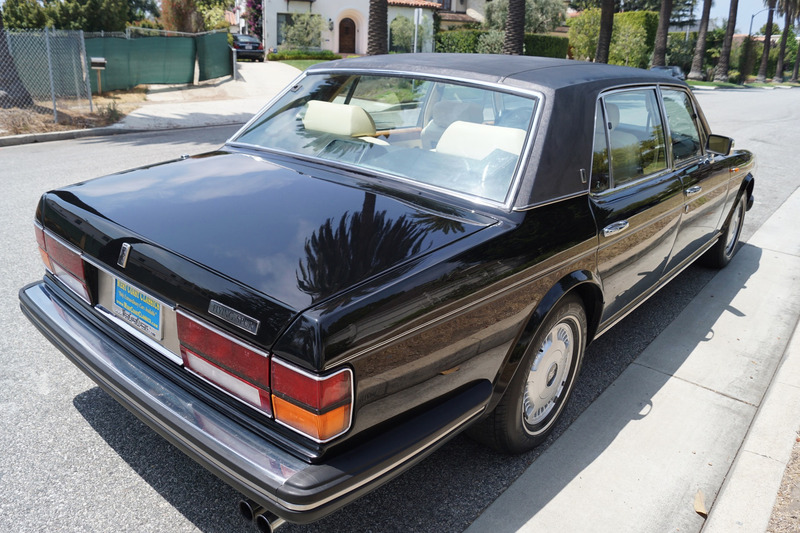 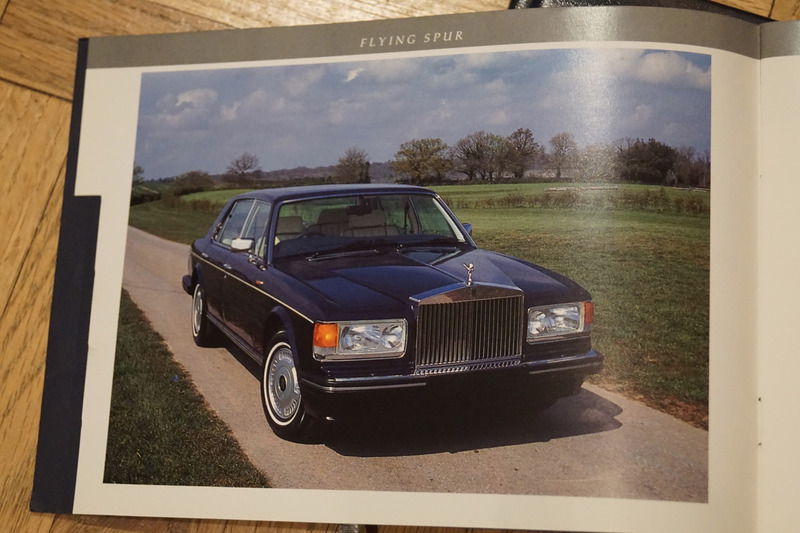 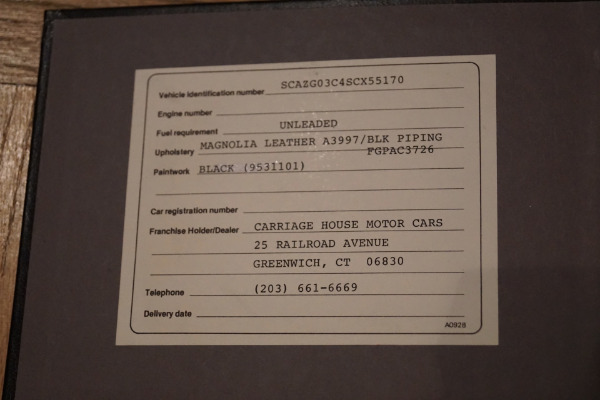 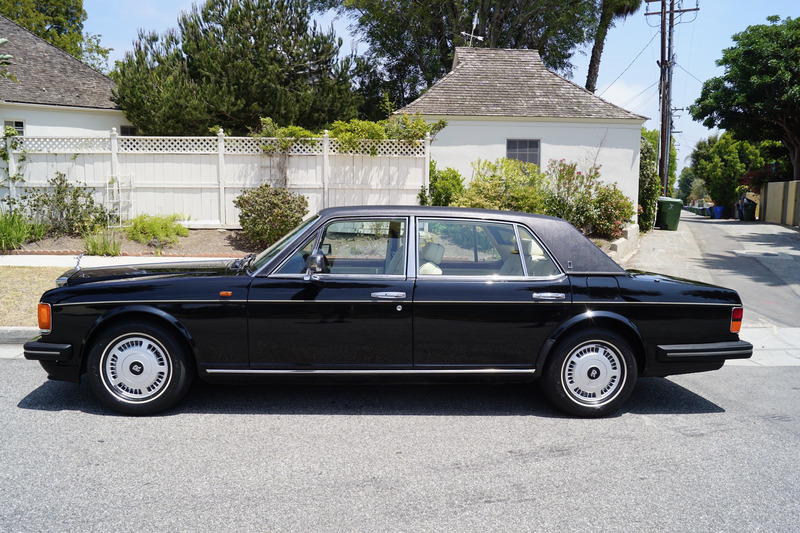 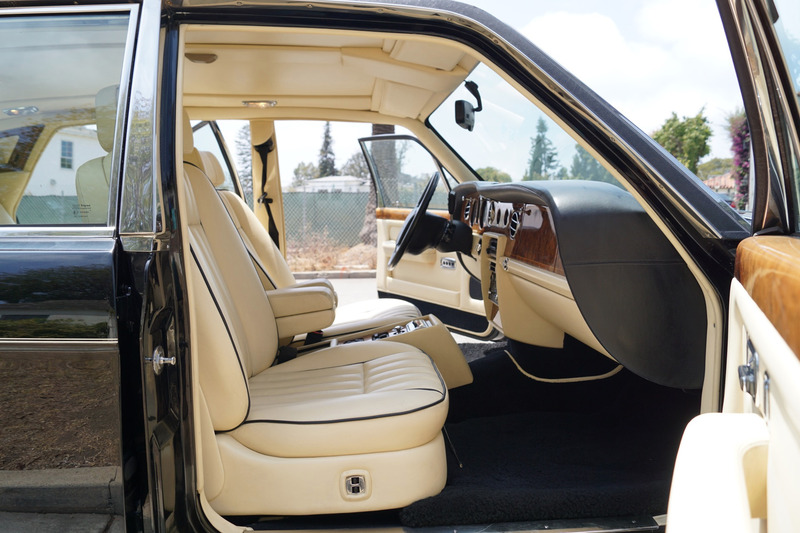 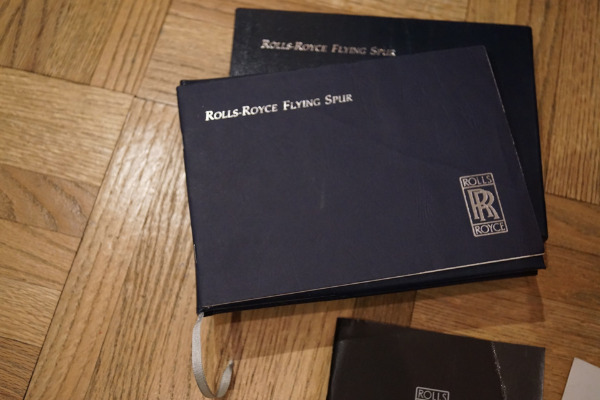 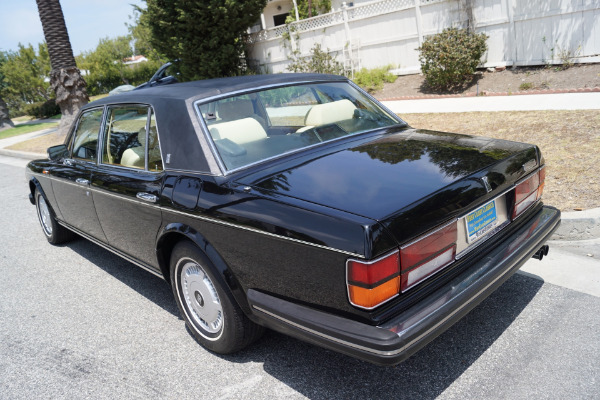 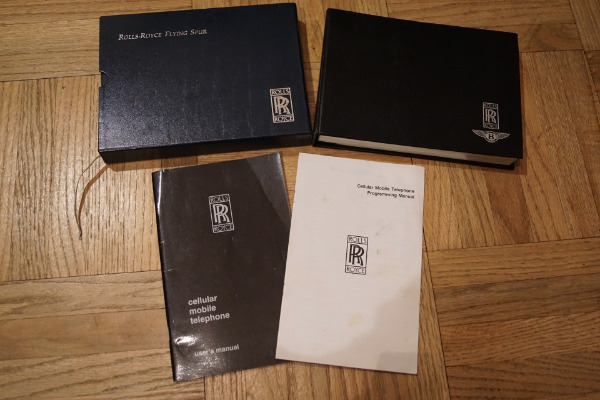 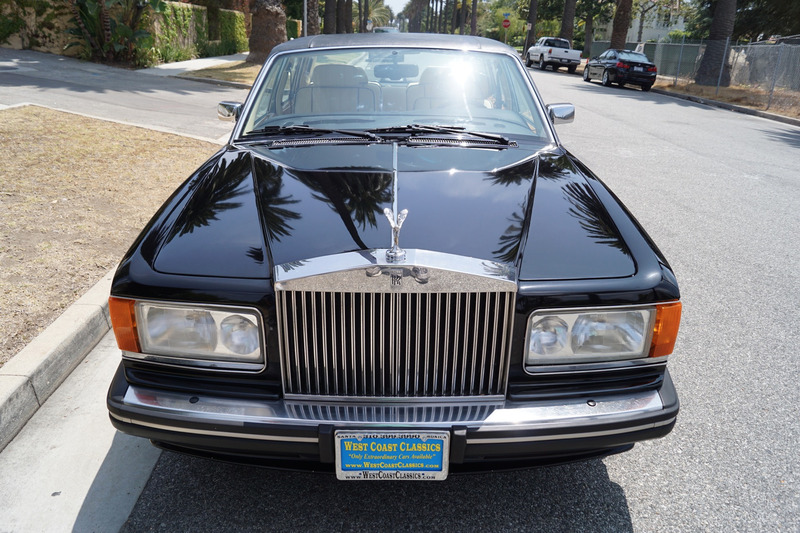 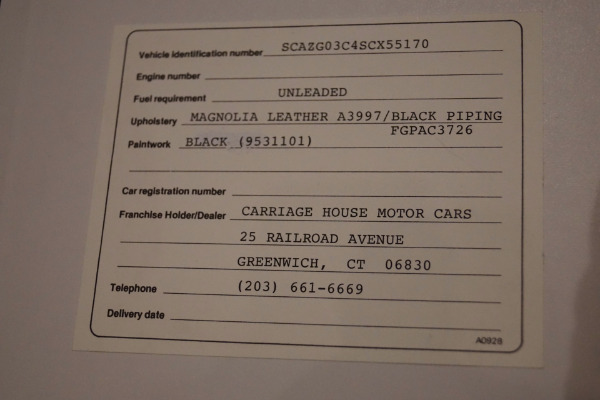 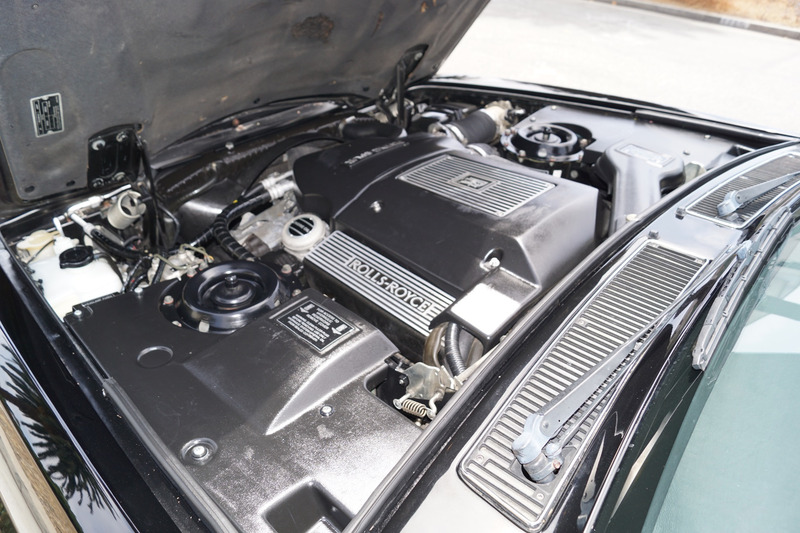 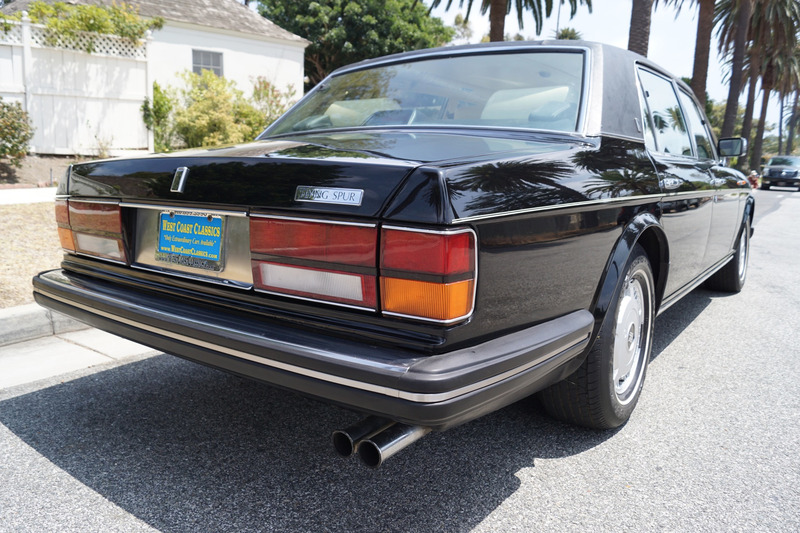 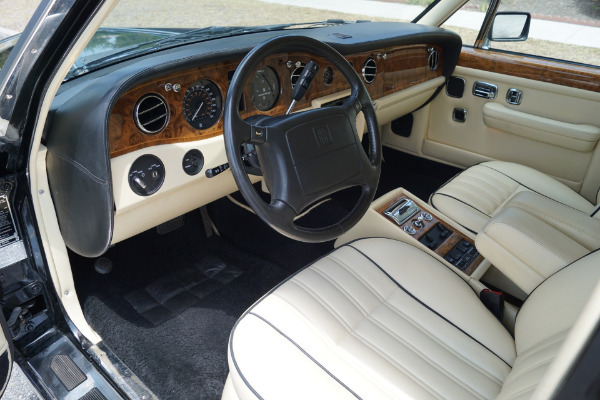 The majority of the cars built were exported to the United States where the new Rolls Royce Silver Seraph had been launched and which was meeting with some resistance from buyers there. As of 1997 only a long wheelbase model was built and the cars had upgraded 16" wheels. 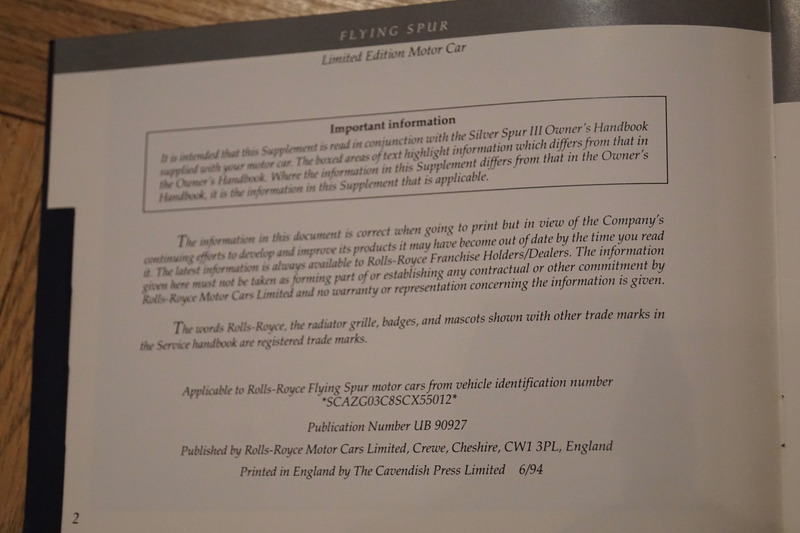 Only 507 of the fourth and final series of the legendary Silver Spur were ever built to be known as the Silver Spur IV and introduced in late 1995 and built between the years 1995-9; these beautiful cars were the last incarnations of the legendary Rolls Royce's built in Crewe, England with new modern integrated front and rear bumpers, new sixteen inch wheels and powered by the legendary 6.75L V8 Rolls Royce engine. 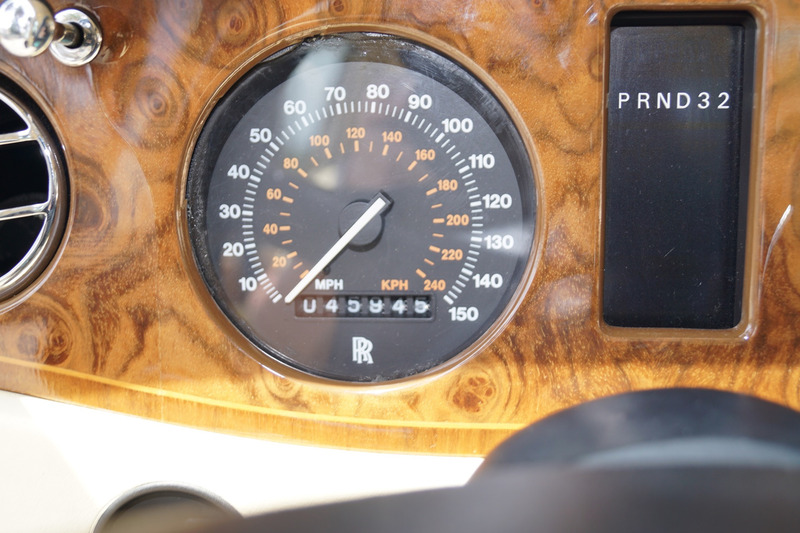 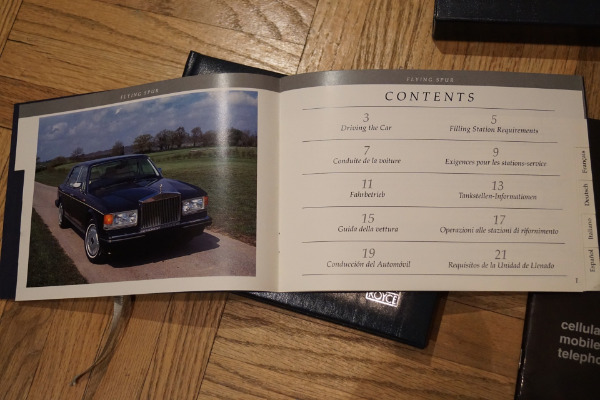 All that is except for the 'Flying Spur' of 1995 which could boast being the only Rolls ever to be built with a Turbocharged engine. 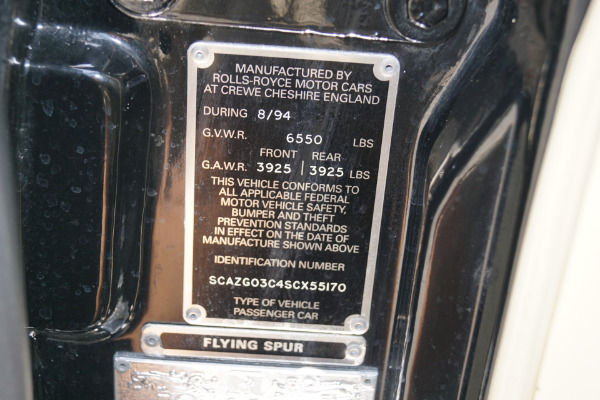 The letter G on the fifth position of the VIN number. 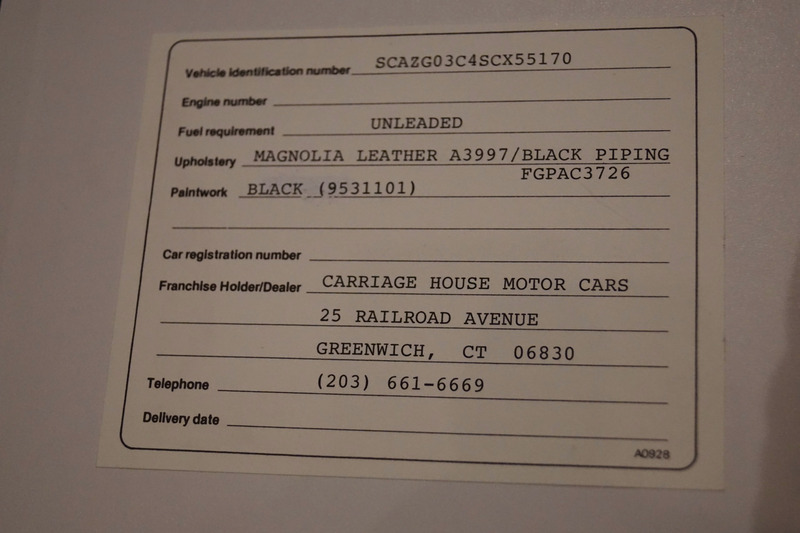 A consecutive ending VIN number between 54602 and 55761. 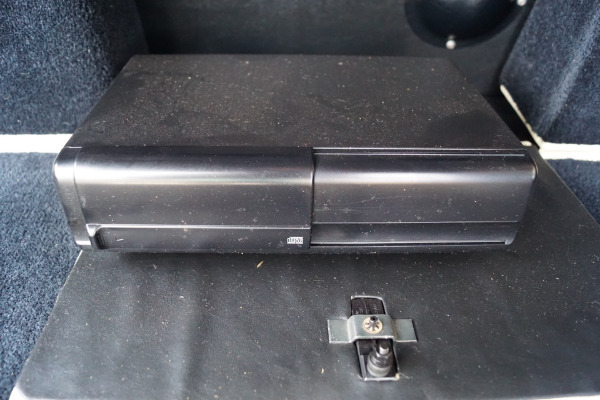 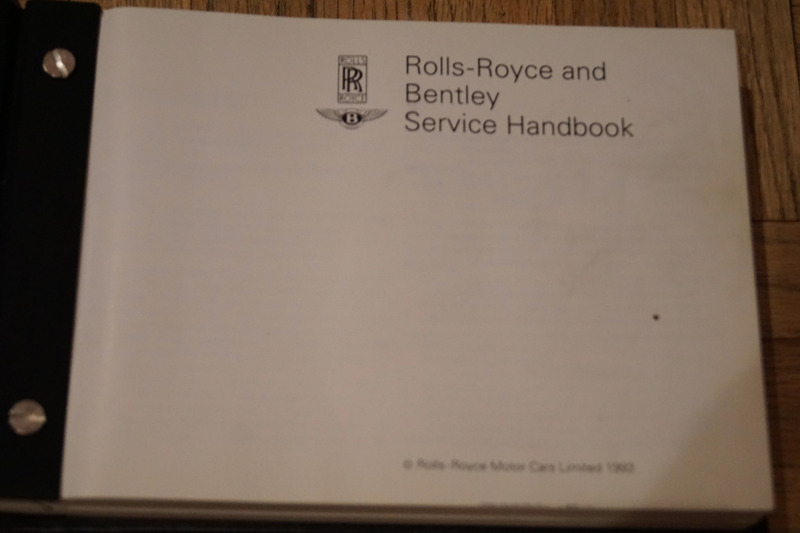 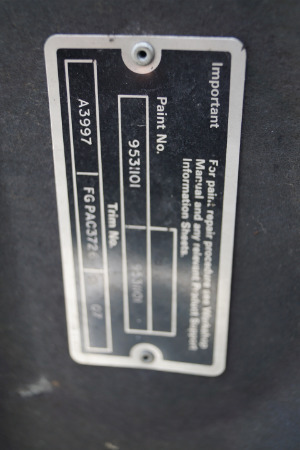 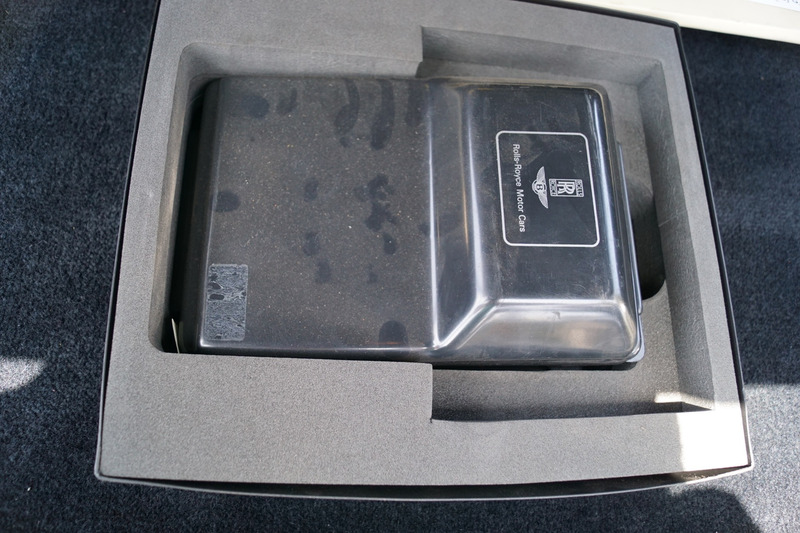 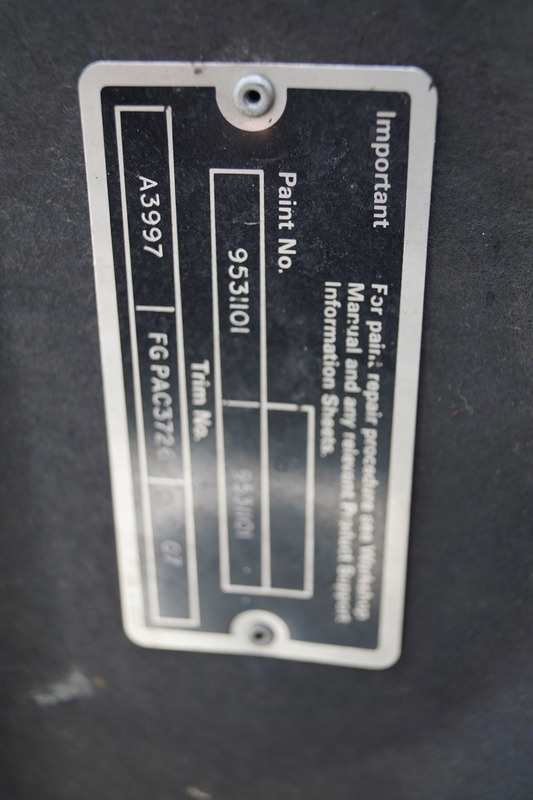 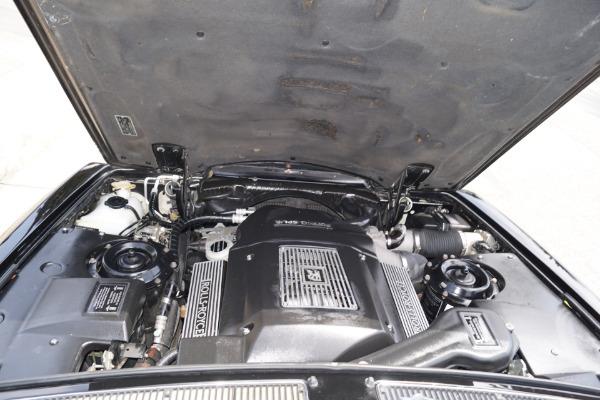 This particular example will be sold with all its original owners manuals, tools and dealer stamped service booklet, a clean CARFAX report showing long time ownership and recent service history showing that at no time was any expense spared on this particular vehicles preventive maintenance. 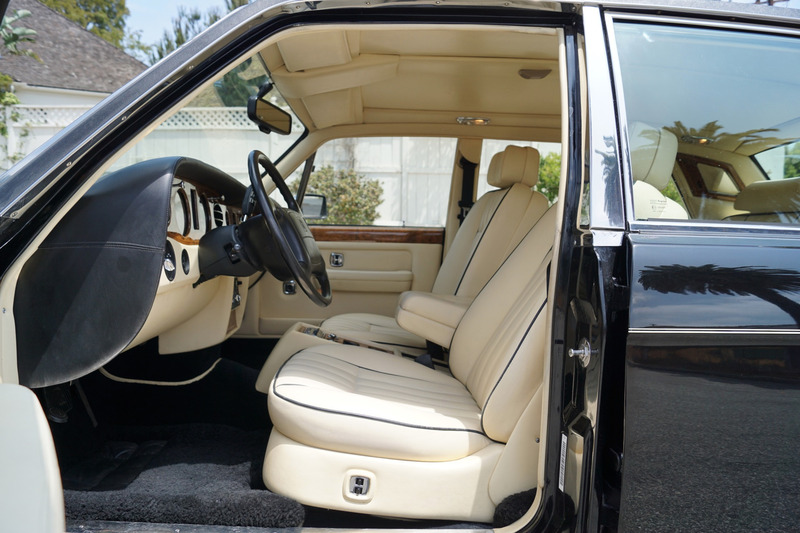 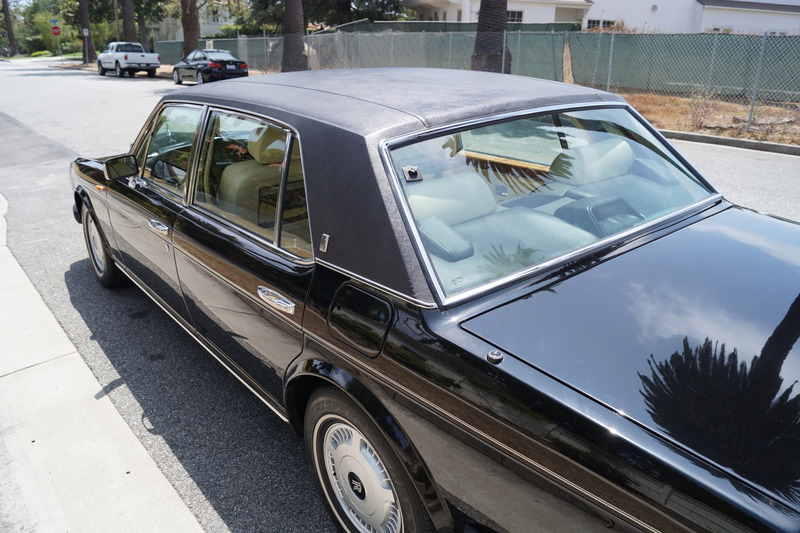 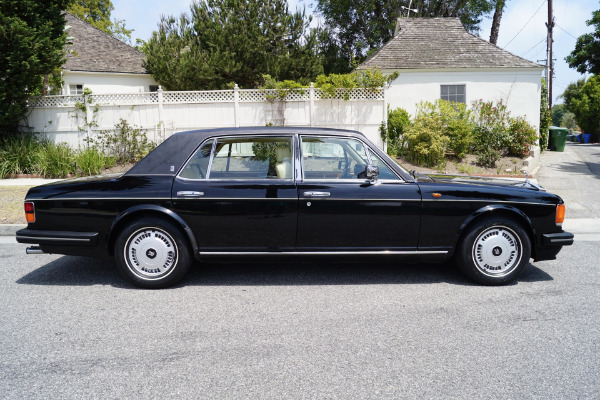 It was recently serviced at the renown independent Rolls & Bentley specialists, 'Frank McLain & Sons' of Encino, CA where the car received a full service and new front & rear brakes and calipers. 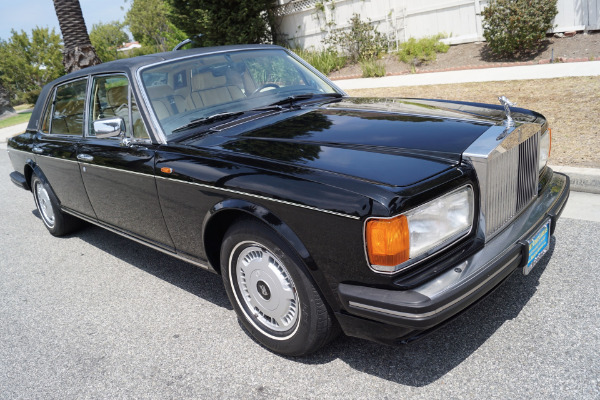 The car is finished in this highly striking color combination of a Black exterior matched to a 'Magnolia with Black piping' leather interior, with all the chromework, including the Rolls Royce grille etc in absolutely outstanding condition, this car would be virtually impossible to duplicate and you will probably never see another one like it anywhere! 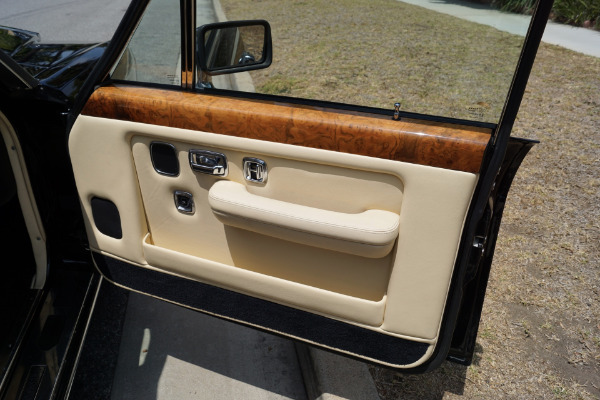 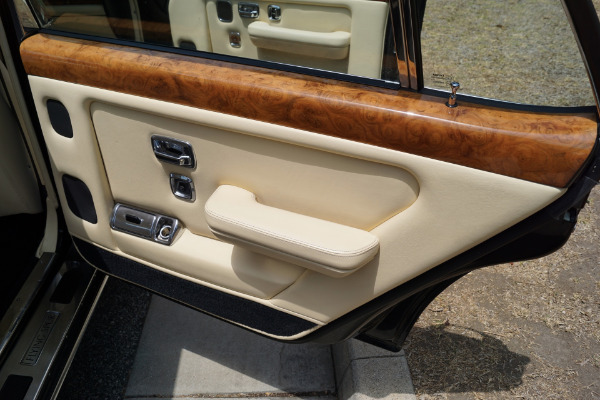 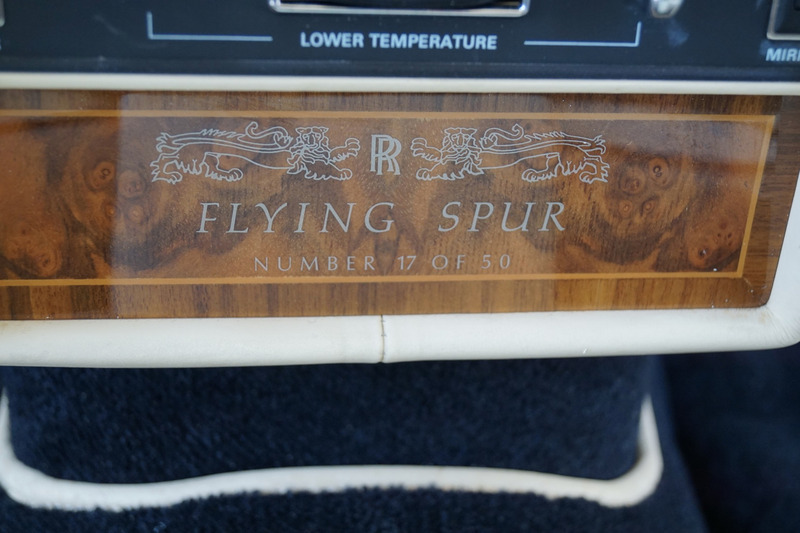 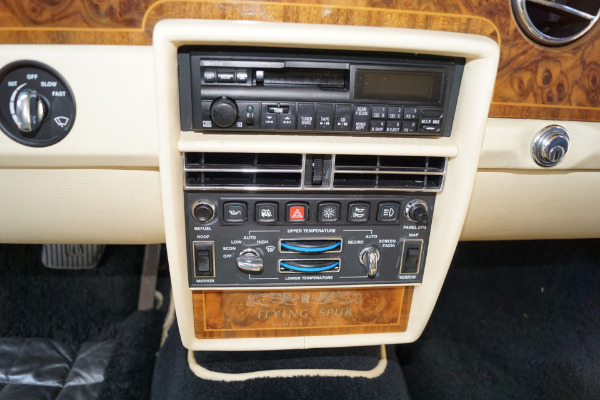 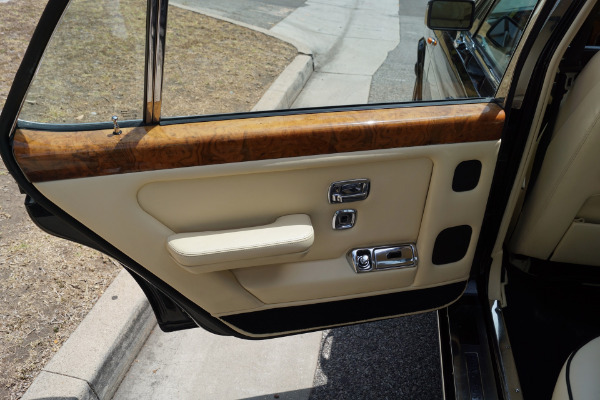 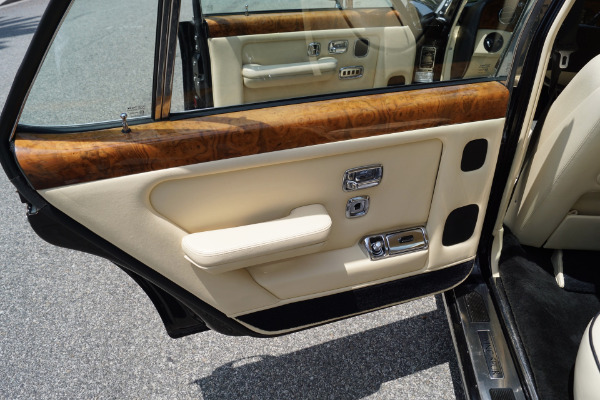 The original and magnificent burled walnut woodwork with its limited edition plaque is in absolutely flawless condition throughout, as is the entire car. All the power options and electric windows are working as they should and the air conditioning system blows cold air! 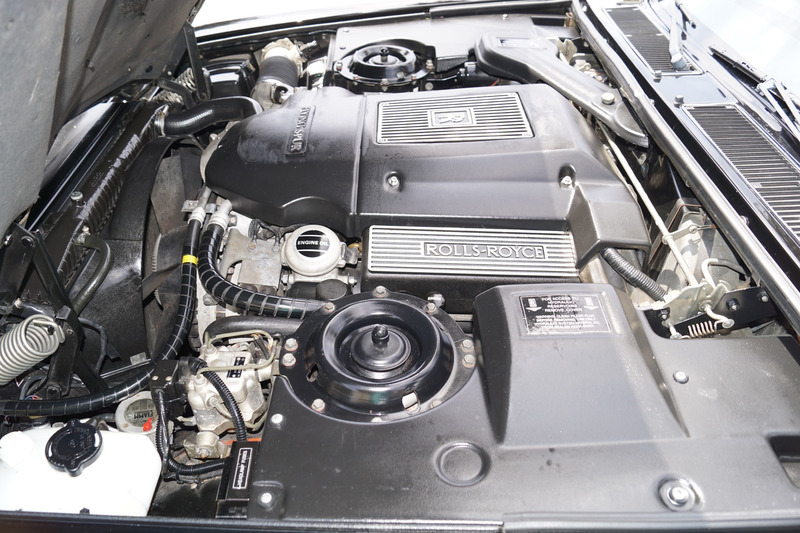 This obviously always extraordinarily well maintained and unique Rolls Royce turbocharged engine runs extremely strong and these cars are very fast - the engine purrs like a kitten, never stalls or idles rough and is extremely reliable - there is plenty of power to pull away at the lights against any car and it cruises at high speeds with absolute ease. The transmission shift is almost imperceptibly smooth and the temperature always remains cool. 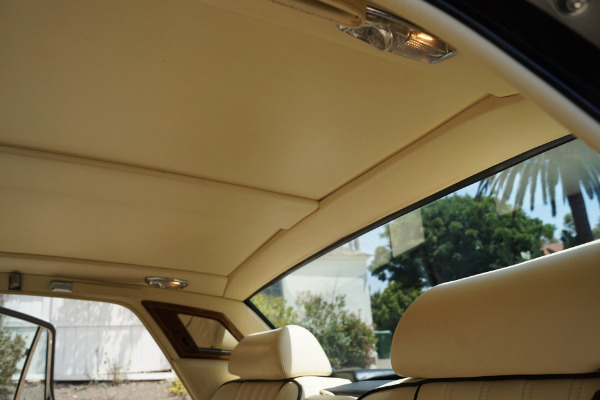 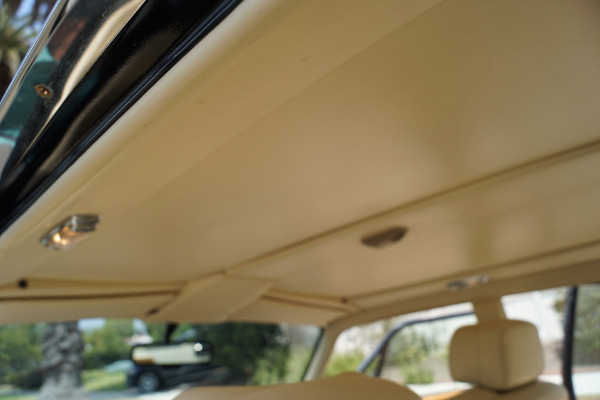 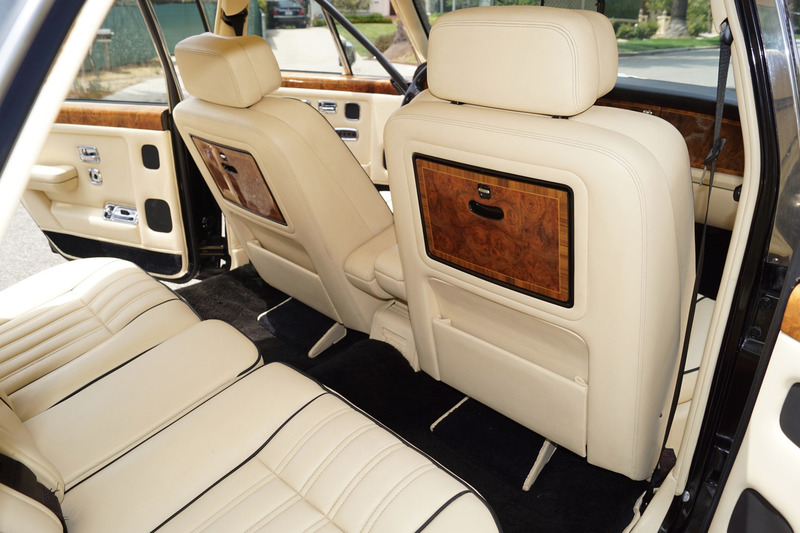 The 1995 Flying Spur, although a large car by any standards, is truly a sensual car that you can drive with your fingertips, smooth and relatively silent, it's thoroughly therapeutic for both drivers and passengers. 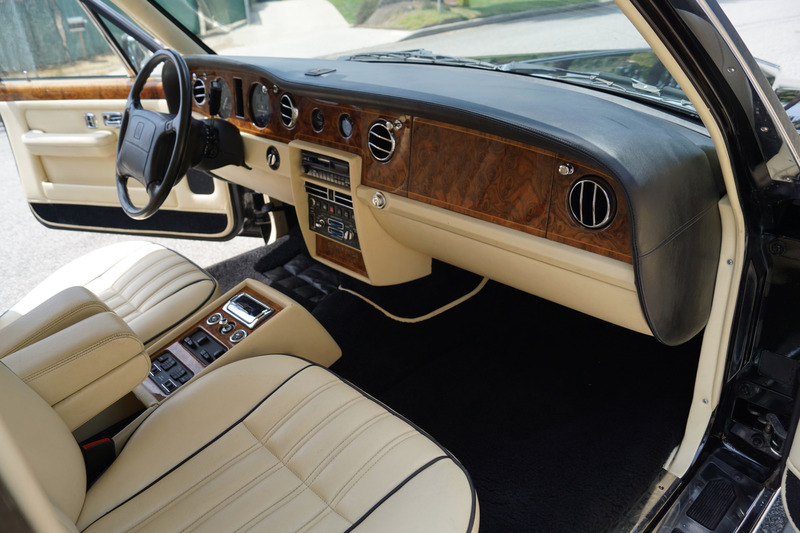 The ride is truly luxurious from a high riding position and the soft feel of the Flying Spur is like no other car on the road. 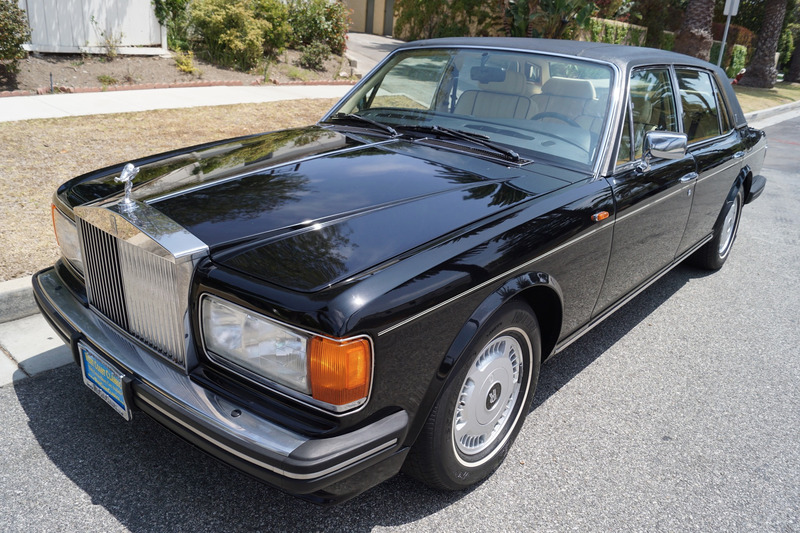 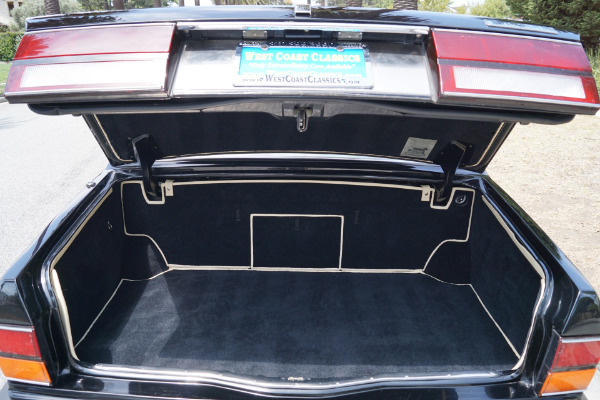 This particular model with only some 45K pampered original miles must almost drive as when brand new and must be driven and seen to be fully appreciated. 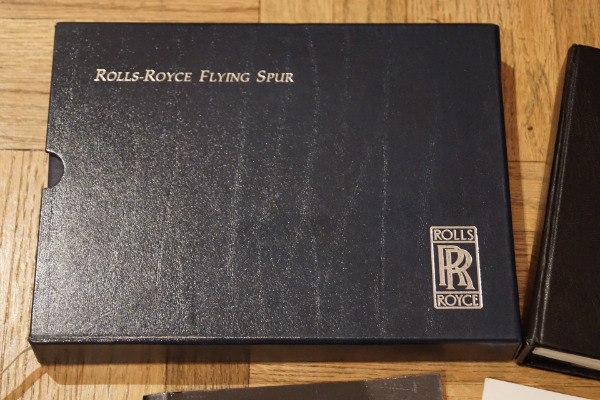 Without a doubt you will look long and hard to find a finer example of this very rare and very collectible model of the most modern series of the Rolls Royce line, with this particular example being an obviously always garaged car with absolutely no issues whatsoever! 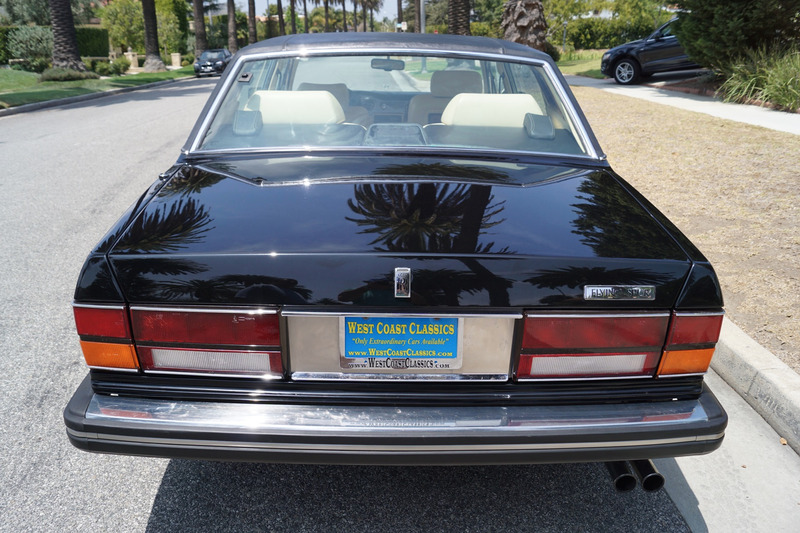 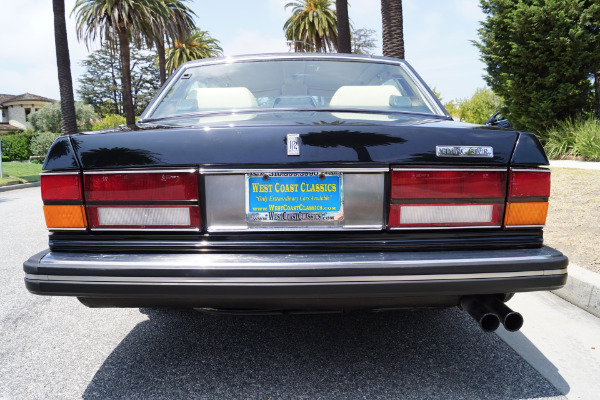 This is one of the last in the original line of cars hand built in the legendary Rolls Royce Crewe factory with a quality and craftsmanship that far surpasses that of today's mass produced models with many BMW parts, and one of the rarest modern Rolls' ever built. Finished in this stunning and classic color combination, this is indeed a rare opportunity to own a piece of classic automotive history, from a time when Rolls Royce was truly building the world's finest automobiles - a great investment for the Rolls Royce enthusiast or collector or simply an outstandingly striking example of a very rare and unusual Rolls Royce for the discerning luxury classic car owner!